With the revolution in the blockchain technology, everybody want’s to build something or other in the blockchain ecosystem and wanted to provide some solution to the community. Similarly, “Westland Storage” is into real estate business and wanted to decentralized the real estate market. Continue reading the article to know more about their project. First of all, let’s see what is Westland Storage and what is their vision. Westland Storage is started in 2001 in Michigan, when Brandon & Brian Williams brothers leased their 1st space and then reinvested their profit to purchase more real estate property. Since then, “Westland Storage”, has continued to grow by acquiring residential and commercial premises abroad, in South America, Europe, and Asia. Westland Storage has a working business running for many years and as of now, they are having 8000+ investors and currently operating in 27 countries. Know more through below video. WLS wants to reach every people in the world and providing the opportunity to become a shareowner of real estate around the world with the help of their DiceLand technology. It will really make real estate affordable for people and they will be able to invest a small amount in contrast to a traditional system which needs high investments. Now, let’s talk about DiceLand technology which is the main tech behind this revolution. It is a blockchain based technology created by the specialists of Westland Storage, which allows to decentralize the real estate market and making possible the tokenization of any real estate around the world. DiceLand technology is currently on the private blockchain-system HyperLedger and after the ICO, they will choose another working environment for the public blockchain where all the transactions will happen transparently. 1% profit each day looks like impossible to say, but actually, they are giving 1% daily profit on the amount of WLS tokens you hold. Currently, we are having 120 WLS token and thus receiving 0.12 WLS token daily. If you don’t believe, see the genuine proof below. Though till now we haven’t tried to withdraw it. So, don’t wait, take the advantage and sign-up today (You can use bounty program to earn free WLS token). 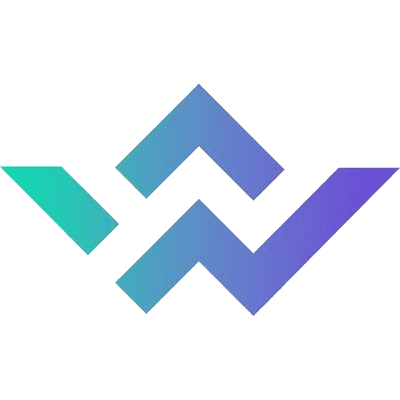 If you are interested to join WLS without any investment and want to earn WLS tokens for free, you can check out their bounty program. You can easily earn Westland Storage tokens for sharing about them in social media like Facebook, Instagram, Twitter, etc., writing a blog post like this one, conduction webinar about them, making a video on YouTube, or even completing your profile. There are other options to earn FREE WLS token through this bounty program and bounty for 1 task range from 10 WLS tokens to 100. Depositing money to Westland Storage is very easy and you can do it within minutes. Let’s see step-by-step procedure to deposit money on Westland Storage. 1. Click on “make a deposit”, which is present on left side and then you will see “Add Fund” page where you can chose cryptocurrency which you would like to deposit. They are currently supporting 8 cryptocurrencies including Bitcoin, Bitcoin Cash, Ripple, Dash, Litecoin, Ethereum, Zcash, & Dogecoin. 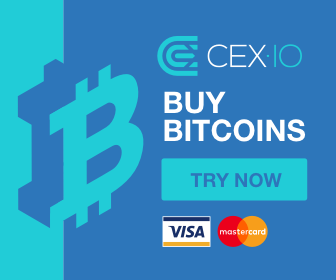 If you don’t have cryptocurrency and still want to invest, you can use your credit card for making payment. 2. Now, select your cryptocurrency which you want to transfer and put the amount which you want to transfer. If you have put value below the minimum threshold, it will automatically give an error and will ask you to put correct value. In this example, we are choosing Dogecoin. There is also an option to use a promo code, please don’t forget if you want extra tokens. Once you have done this, proceed for payment. 3. In this step, you will see the payment gateway, which is “coinpayments.net”. Now, just verify the amount and make note of the address to which have to send the payment or scan the QR code from your application. Once you have made the payment, you will get the confirmation. These were the simple steps to make a deposit ton Westland Storage website. In case you have any doubt, please leave your comments. If you want to earn more on WLS, you can take benefit of their affiliate program. You can invite your friends to become your partners and for this, you will receive 10% of their deposits on the first level, and 5% from their deposits on the second level. Note: Your friends just have to join and don’t have to pay extra for this. You will be amazed to know that they are also having working mobile app for both Android & iOS and by installing them you can also earn free 10 WLS tokens as a bounty reward. WLS mobile app works flawlessly and you can do every task from it. It’s GUI is also user-friendly. Do try it and let us know through comments. Hope you like this article and if you do, don’t forget to share it with your investor friends. If you are already aware of Westland Storage (WLS), do let us know through your comments and let us know what you think about them. They are also running a competition whose prize fund is $100,000, so do take part in it..
For more such article, subscribe to our blog “MyCryptoHustle.com” through email and also follow us on social media channels. Hi. Nice content and I want to invest here using ETH from my Coins.ph account. However Coins.ph ETH is a smart contract, do you think I can make the deposit? Right they have not replied from my queries. How you deposited money or crypto to Coins.ph?